The European Committee of the Regions (CoR) adopted today its reaction to the European Commission's proposal for an interinstitutional proclamation endorsing the 'Pillar of Social Rights' and the 'Reflection paper on the social dimension of Europe', drafted by EPP rapporteur Mauro D'Attis (Italy). The Pillar builds upon 20 key principles, structured around three categories: a) equal opportunities and access to the labour market; b) fair working conditions; and c) social protection and inclusion. The European Commission proposes that the European Pillar be proclaimed jointly by the European Parliament, the Council and the Commission possibly at the occasion of .the Social Summit in Gothenburg, Sweden, on 17 November. 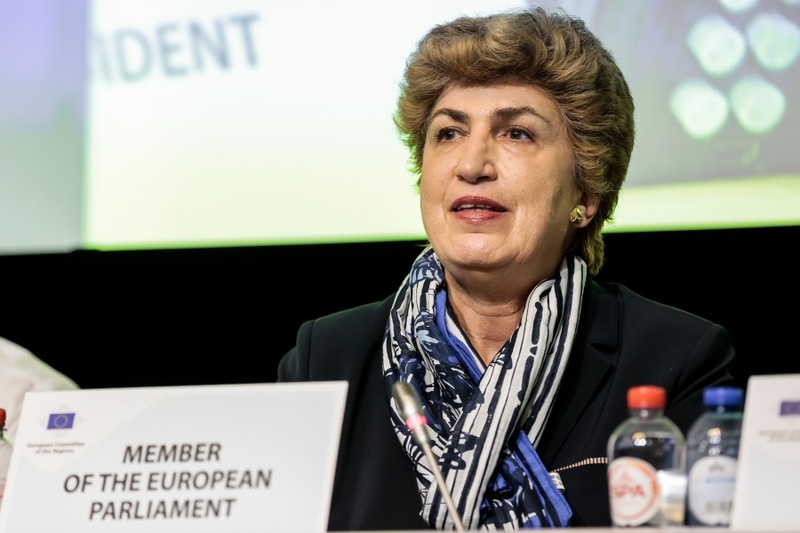 Introducing the Pillar, EP Rapporteur Maria João Rodrigues, Vice-President of the EP's S&D Group and FEPS President, highlighted the importance of the Pillar as a tool to show the EU's relevance and regain the trust of its people. "The European Pillar of Social Rights should give us the ground to turn the European Semester into a meaningful tool for real not only economic but also social coordination", she said, pointing out that the upcoming negotiations for next year's Semester will be decisive in anchoring the social dimension in it. She also insisted on the urgent need for upward economic and social convergence for the EU, in the wake of a crisis and in the light of major challenges such as globalization and digitalisation. Thanks to a series of amendments, the PES Group in the CoR succeeded in introducing in the CoR position key socialist demands, including: urging for upward convergence of social standards; calling for a Social Progress Protocol in any future Treaty change, aimed at putting social rights on a par with economic rights; calling for real wages in line with productivity; defending a European unemployment insurance scheme; defending the right to access good quality and affordable not only essential services but also services of general economic interest; calling for appropriate and affordable housing for all since this is a prerequisite for greater social cohesion and for communities that are resistant to social, economic and geographic segregation; fighting gender pay and pension gaps; enshrining in the European Pillar of Social Rights a right to education and training as a fundamental social and human entitlement; bearing in mind that investment in human capital should be treated as a social investment, calling for Member States to be supported in the implementation of the Skills Guarantee, aimed at improving employment opportunities and full participation in society for low-qualified adults in Europe; making the Youth Guarantee a permanent feature of European employment policies; defending the right to quality internships and/or apprenticeships, based on a contractual relationship between the trainee/apprentice and the employer, including remuneration and insurance; defendingworkers' right not to engage in work-related electronic communications outside working hours. Maria João Rodrigues welcomed the outcome and underlined the importance of multi-level governance in the successful implementation of the Pillar. She pledged to this effect to argue for the introduction of a clear reference to the role of local and regional authorities in the body of the Pillar. Read the CoR opinion on the "European Pillar of Social Rights and the Reflection paper on the social dimension of Europe"